Have you ever wondered what your purpose in life is, or what your life as a homesteader should look like? I remember when I first left my full-time corporate job I wandered aimlessly around our farm trying to find where I fit in. It took me a long time to realize God had a purpose for me and I just needed to embrace and figure out what his plan for me was. I wanted a big garden. I wanted a barn filled with animals. I wanted to milk a cow and raise goats. I wanted to spend hours spinning alpaca fiber and sewing. 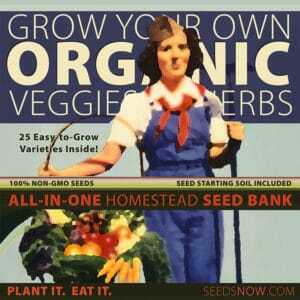 I wanted to plant a herb garden and make my own herbal remedies and lotions. I wanted to raise bees and sell honey. I wanted to bake, can and make everything I could from scratch. But most of all, I wanted to be here to take care of my family the way God intended me to be. I had to learn the hard way that I have a set of unique talents and skills that were naturally bestowed upon me. Those skills didn’t include some of the items on my wish list and I had to come to accept that. I came to realize that I couldn’t spend my life doing things that I was not gifted at and I needed to concentrate on the things I loved doing and did very well. So where has that left me? 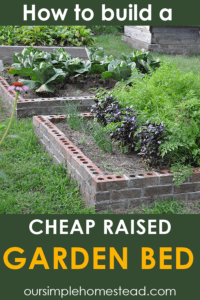 It left me planting more raised beds then that huge garden that I couldn’t take care of myself. I figured out I love raising chickens, but really don’t enjoy raising pigs. I found a source for fresh raw milk rather than milking a cow. I found that I can grow mint, calendula, and thyme really good so I concentrate on those herbs. I found that the three bee hives we have kept me busy enough that I didn’t need to venture into selling it. I found I would rather crochet then sew and I enjoy carding alpaca fiber better than spinning it. I found that it’s perfectly acceptable to enjoy a meal out or pick up a loaf of bakery bread when needed. Above all, I found that my greatest joy comes from being here to take care of my husband the way he enjoys. The smile on his face when he comes home to a home cooked meal, or knowing exactly where something is he’s looking for and even being here to run errands for him is what God has sent me to do. Being his helpmate is my God given talent. I encourage you to look at what you enjoy, what you’re good at and then let that mold you into the life you desire. 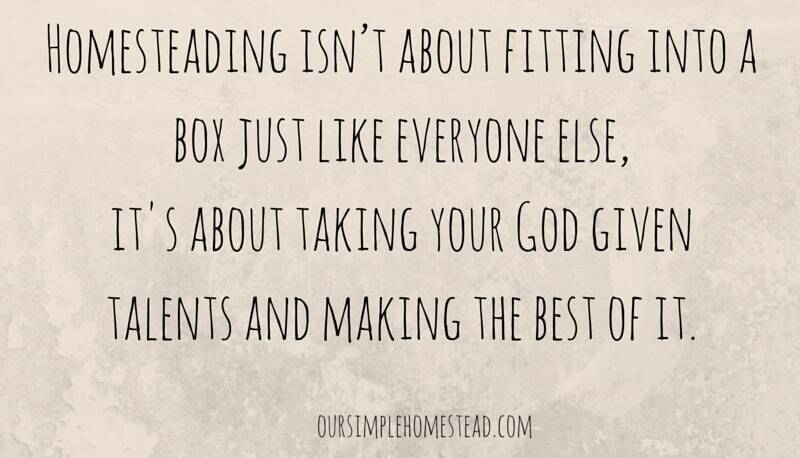 Trust in your ability and don’t be afraid to be unique…no two homesteaders are the same! Lovely! You had quite the list to start with:) And I couldn’t agree more with your quote. Thank you for sharing such thoughtful insight. 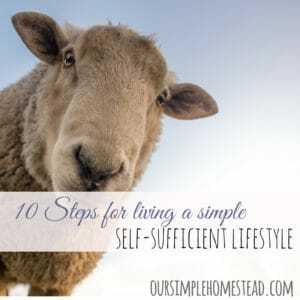 I did have a huge list and once I realized I didn’t need to be like everyone else I enjoyed my life as a homesteader much better. He sure did and I am glad I could step out of my box and find a path all my own! I loved this week’s article!!! Thank you for the inspiration! I am so happy it inspired you! I enjoyed this article very much and it has reminded me to focus on what I do best. Thank you. I beat myself up for a long time until I realized I needed to do what I was good at and stop trying to keep up with what I thought homesteading should look like. Once I focused on the things I did really well I became much happier about the life we were living. Thank you Tracy for this. I am constantly comparing out little ‘homestead’ to others. I struggle with the concept of calling us homesteaders. We have electricity, gasp! I use the dishwasher occasionally, we do not solely rely on wood heat, we use nonorganic foods, we do depend on the grocery store for a portion of our food, my husband works a corporate job, we do not have goats, and we also use a microwave. BUT, we have cut our consumption of electricity, we use a fireplace as supplemental heat, we garden, raise chickens, I make everything I can from scratch, we are expert diy’ers, (is that a word? ), and we dream of being totally self sustainable one day. 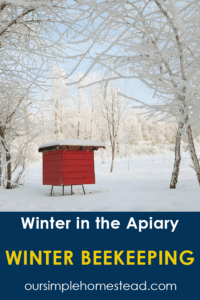 So, in a nutshell, being a homesteader is a state of mind and heart. With that in mind, we are homesteaders indeed! 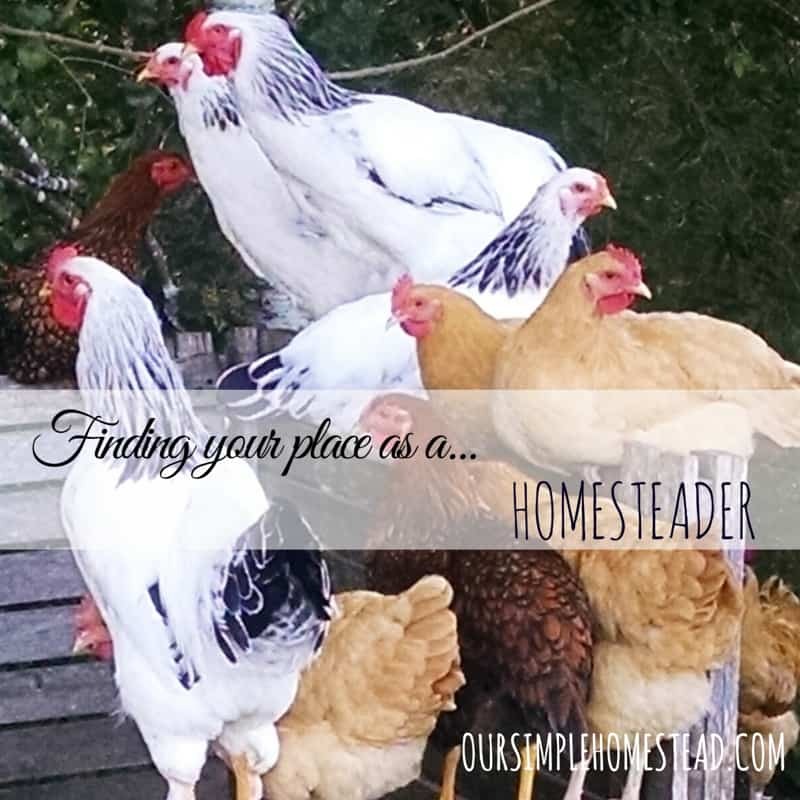 Tammy you certainly are a homesteader! 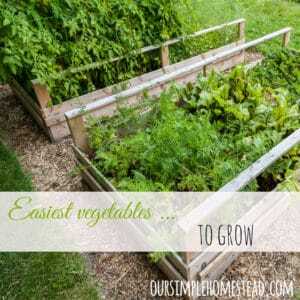 Anyone that takes an active role in looking for ways to be self-sufficient has a homesteader’s heart. It does not matter if you live in the city or in the wide open spaces, being a true homesteader is a state of mind. I hope I didn’t discourage you from raising pigs! The farm fresh pork was wonderful…I just got a bit attached to them and had a hard time with the butchering process. I would say that I am a city homesteader at heart. We do have chickens, I can, and have a garden. I did get rid of my dishwasher because I felt it would save money. We have 4 boys and we homeschool so I am a bit busy. Homesteading is a frame of mind, and just like you I have found my talents are other than what I expected them to be. I’m not sure if there are any pigs in my future…but when they are little they are very cute! Good for you…so happy to hear it was not only me that had to look at my God given talents and embrace them! I too am a homesteader at heart and in the mind. We live on a half acre and I would love to have laying hens and dairy goats but my husband is not interested at least now here. Currently have a malamute mix and having either would be trouble– he would help himself to the chickens and probably the baby goats as well. I make almost everything from scratch and do a lot of canning, gardedning –both herb and vegetable, sewing and making do with what we have. I would agree about your dog…he would have a ball chasing after your chickens if you had them. Two of our meat rabbits got out of their pen and run free in our yard. Our barn cat chases the baby bunnies and the story never ends well! You are so right that you don’t have to do it all! 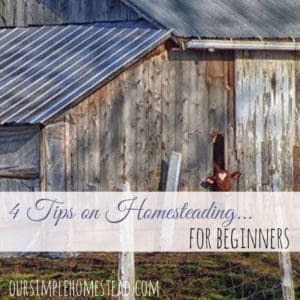 Part of the wonderful world of homesteading is finding like-minded folks who can provide some of the things you may need and you can do the same for them. Win-win! Thanks for sharing your outdoor post on this week’s Maple Hill Hop! 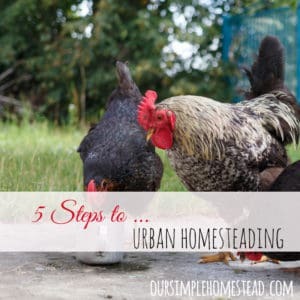 We don’t have to do it all and I agree that’s the wonderful thing about homesteading. Thanks so much for giving us all the freedom to be the best person we can be while following our God-given path and not comparing ourselves to others. 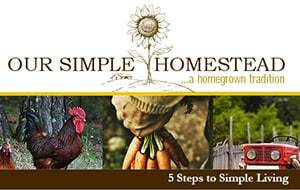 I feel I do a lot of homesteading until I read some of the blogs then I feel there is so much more I could be doing but I work full time outside the home. Our son recently purchased his first home at 26 years of age! It is a real fixer-upper so I have been spending my time helping him. I am a good painter so that has been my job. I also do the clean-up and am the go-fer girl. It seems progress is slow but I am enjoying hearing all his ideas and seeing his resourcefulness. As soon as spring gets here, we will start working on his outdoor plans- I will be providing my free labor and will also be providing the food to keep us energized. I find this project very enjoyable. WOW! What a great way to bond and spend time with your son…he is so lucky to have you! Thank you! This is just what I needed to hear. I stress myself out sometimes wanting to do it all instead of focusing on my strengths. It’s all in how you approach homesteading. 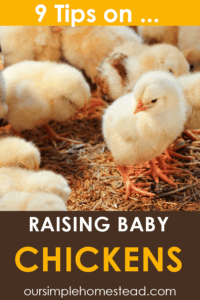 If you look at it as a learning tool and knowing that everything you try is for the better of your family and not keeping up with the typical stereotype homesteader you will be much happier. You are correct…continue to focus on your strengths! Thanks for another wonderful and inspiring article. I’m afraid I’m right where you were originally. My list is probably longer than yours, but it keeps growing. The more blogs I read, the more “things” are added to my list. I’m going to sit back, relax and take a good look at my list and give myself a little break. What’s the sense of trying to do it all when it starts becoming a nightmare. I think I’ll take it one-day-at-a-time and enjoy everything I do that day. I need to find my rhythm – just moved here and we’re starting all over again. It’s a huge adventure but one we are enjoying – even though we are closer to our 70s than our 60s. Bobbie…my list is always changing! I often add and cross things off when I find something new I want to try. I use to get upset at myself when I had to cross something off I hadn’t completed, but now I jut smile and know that I will only try those things the really interest me and what I am good at. So my list right now looks a lot like yours…and I am still working full-time! I know I need to be patient and trust in God in the process, but I want it all right now and am just wearing myself out. After three years, we have worked to get my husband here homesteading full-time and working our berry business, which was our first goal. Hopefully soon I will be able to join him. I truly feel it is God’s plan for us all to work our farm together, but it is scary to make that decision to take the full-fledged plunge. Thanks for the gentle reminder that we can only do what we can do.